In Strange Sounds, Timothy D. Taylor explains the wonder and anxiety provoked by a technological revolution that began in the 1940s and gathers steam daily. Taylor discusses the ultural role of technology, its use in making music, and the inevitable concerns about "authenticity" that arise from electronic music. 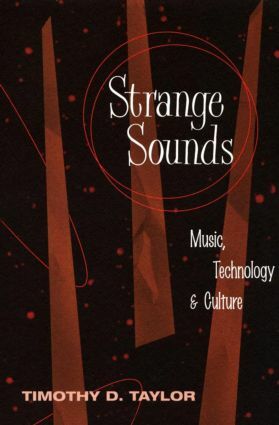 Informative and highly entertaining for both music fans and scholars, Strange Sounds is a provocative look at how we perform, listen to, and understand music today. Will the Revolution Be Digitized?